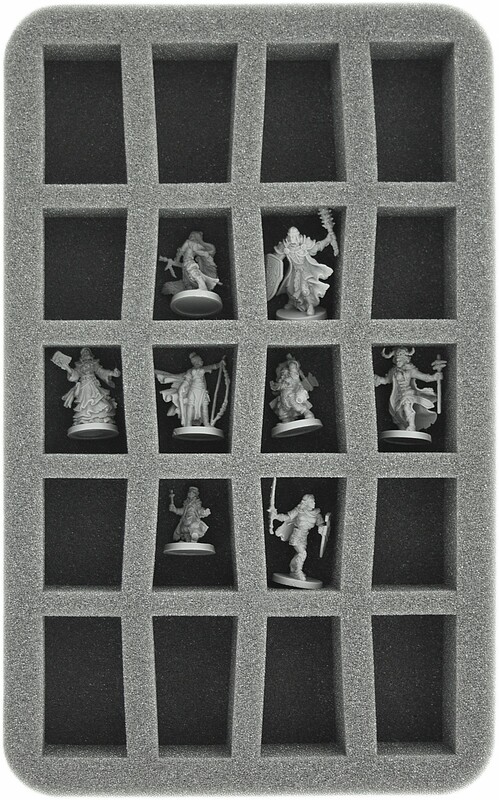 With conical compartments for safe storage of 20 small Descent miniatures. 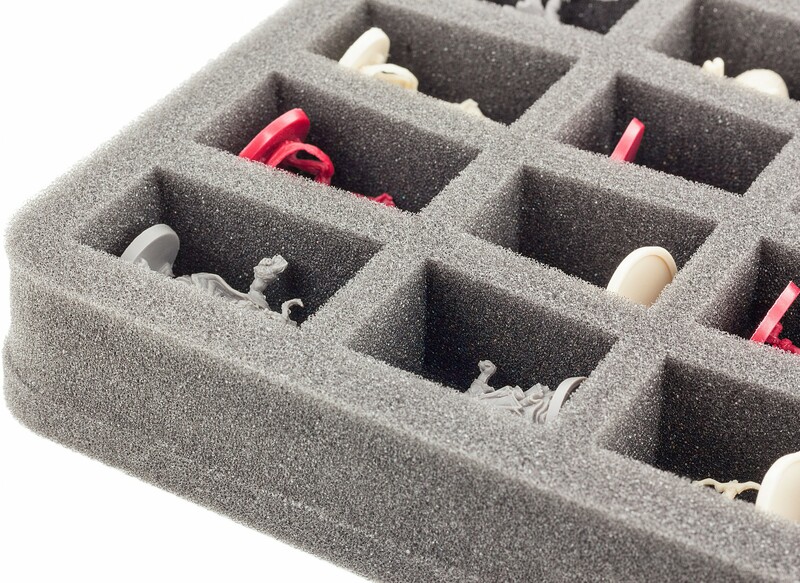 If you want to keep an eye on your heroes and monsters, this Feldherr Half-Size foam tray for 20 Descent miniatures is the right choice. 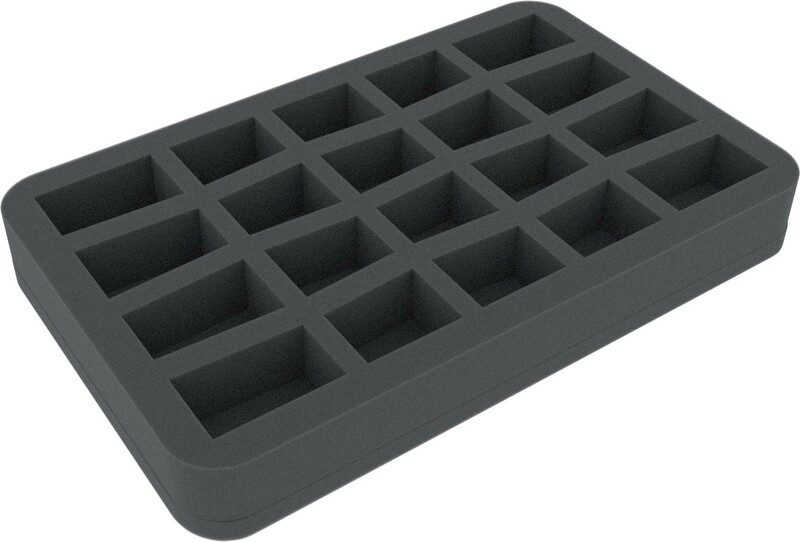 This mat consists of 20 conical compartments of different sizes. It is divided into eight compartments with the dimensions 49 / 30 mm, adjoining another eight with the dimensions 39 / 30 mm and 4 slightly smaller ones in the middle with the dimensions 37 / 30 mm. 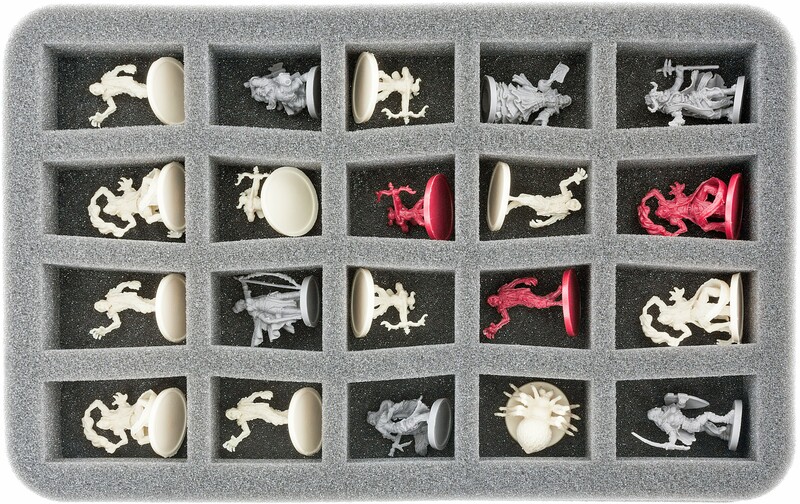 The diameter of a base of small Descent miniatures is generally in the range of 25 mm. Accordingly, we have chosen the height of the tray so that your heroes and monsters find a place here in lying position. The cave spiders, on the other hand, also fit upright. This will give you a quick overview of all of your twenty miniatures. The 10 mm thick base sums the foam tray up to a total height of 35 mm. The compartments' conical shape ensures that especially sword and club swinging miniatures fit perfectly. This prevents the bending of figure parts during transport or storage. The half-size foam tray can of course be used with other Feldherr products, such as the magnet boxes, MAXI bags or the transporters. 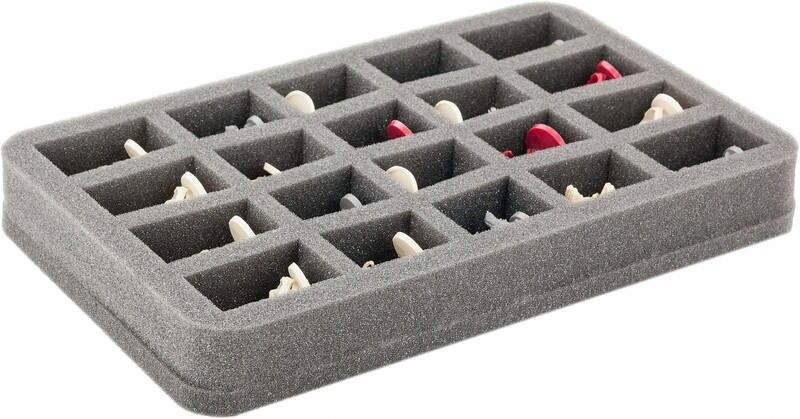 The foam tray measures 275 mm x 172 mm x 50 mm total height.